Posted on May 12, 2018 at 10:30 am. 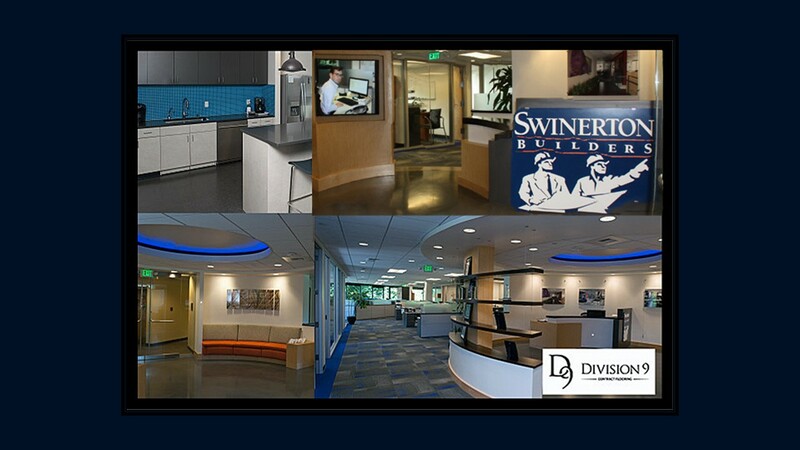 We’ve had the privilege of working with Swinterton on many occasions – at least 40 this past year alone, including Swinerton’s Bellevue Offices. Swinerton has been around for over 100 years. 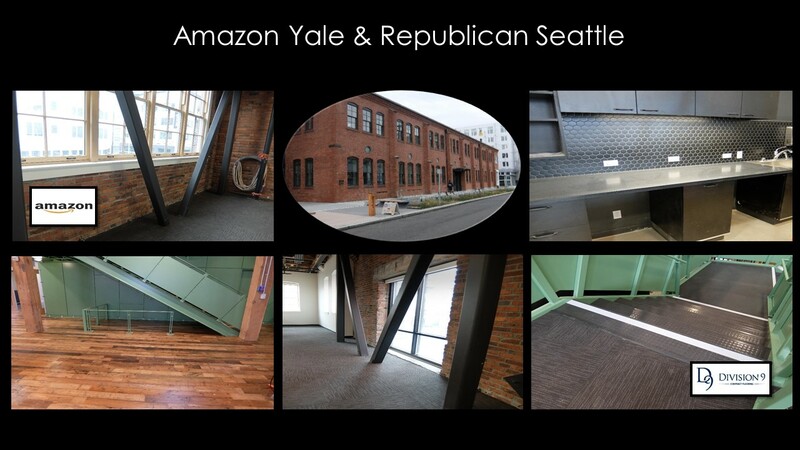 When a company with that kind of track record singles you out to help build their own offices, you know you’re doing quality work. 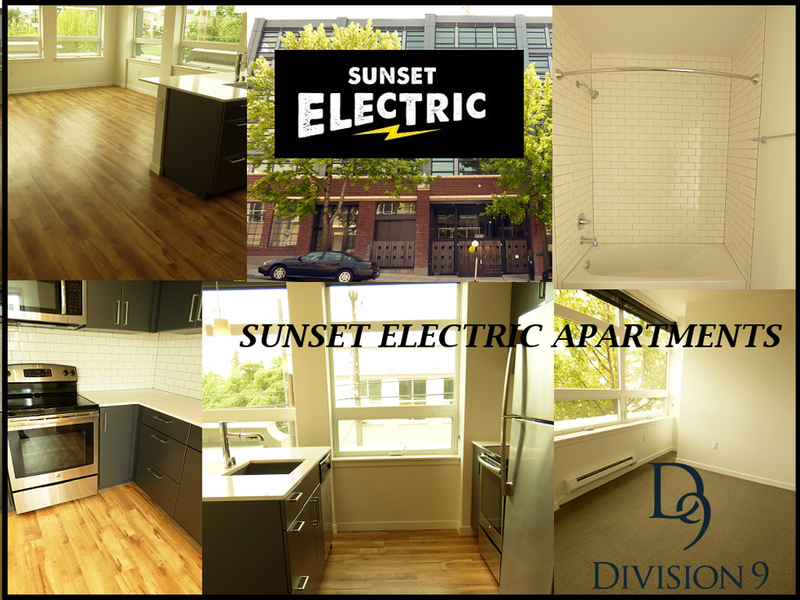 D9 and Swinerton have similar core values, including a commitment to the environment with LEED Certification support. Swinerton’s new premiere office space was a true collaboration with clean lines and modern design. Our relationship with Swinerton and their trust in us speaks volumes. Posted on May 11, 2018 at 10:46 am. 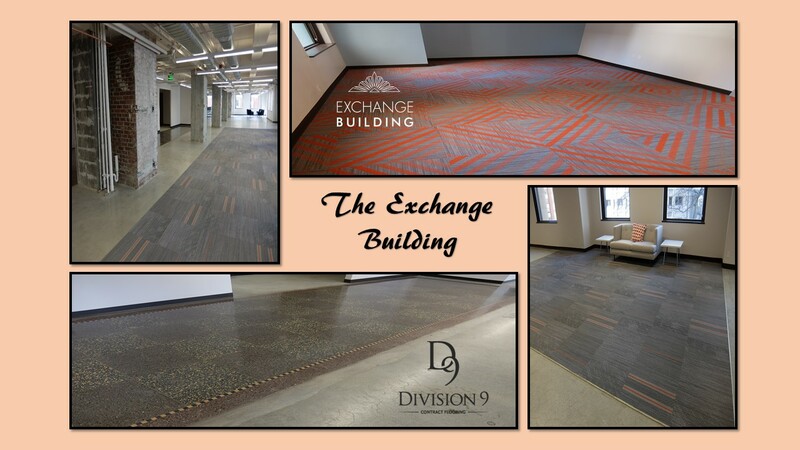 The following is an article written by Division 9 Flooring Project Manager David Flynn. Posted on April 29, 2018 at 11:16 am. D9 under time crunch to deliver on Micro Encoder project. 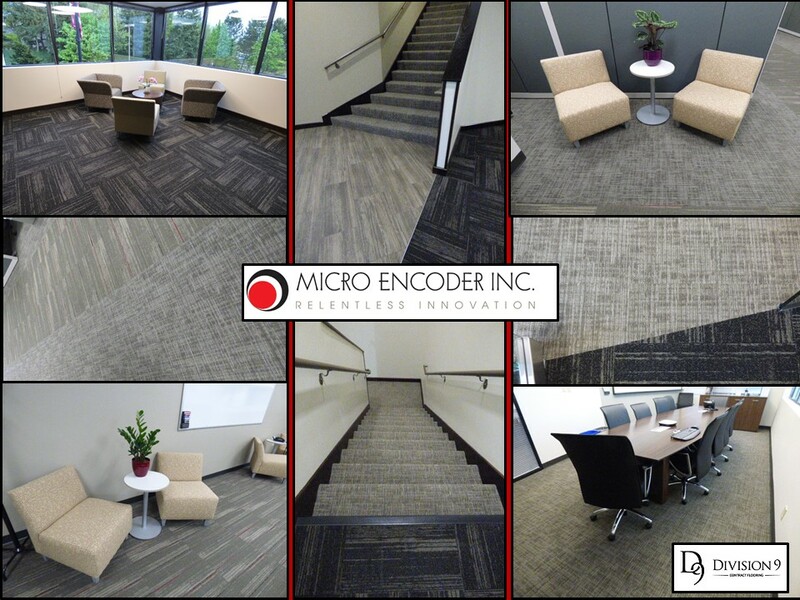 When D9 was awarded the Micro Encoder remodel project, time was of the essence. The remodel would affect Micro Encoder’s business operations, so we wanted to cause as little disruption as possible, but deliver a top notch job at the same time. We were able to accomplish that and are very pleased with the finished product. 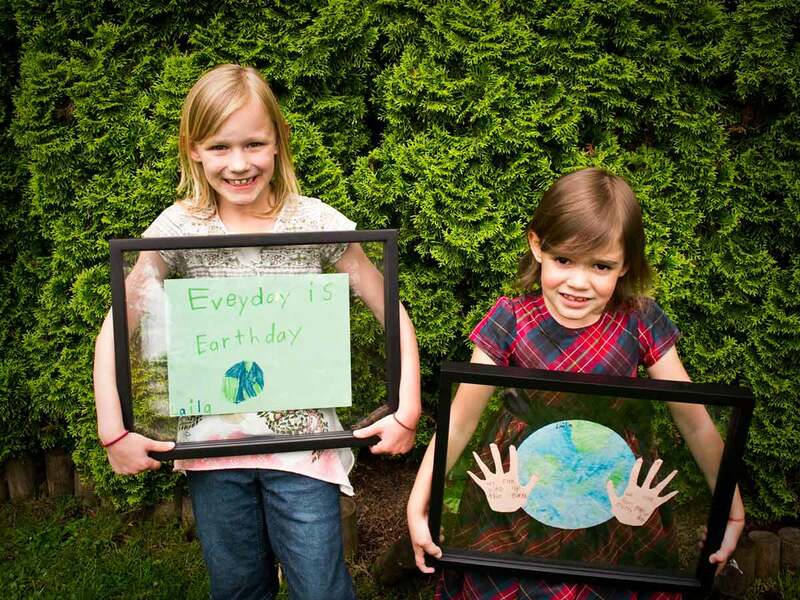 Division 9 Flooring Embraces Earth Day! Posted on April 22, 2018 at 9:39 am. Division 9 Flooring is committed to our environment. Our Corporate Stewardship Program was created in 2008. 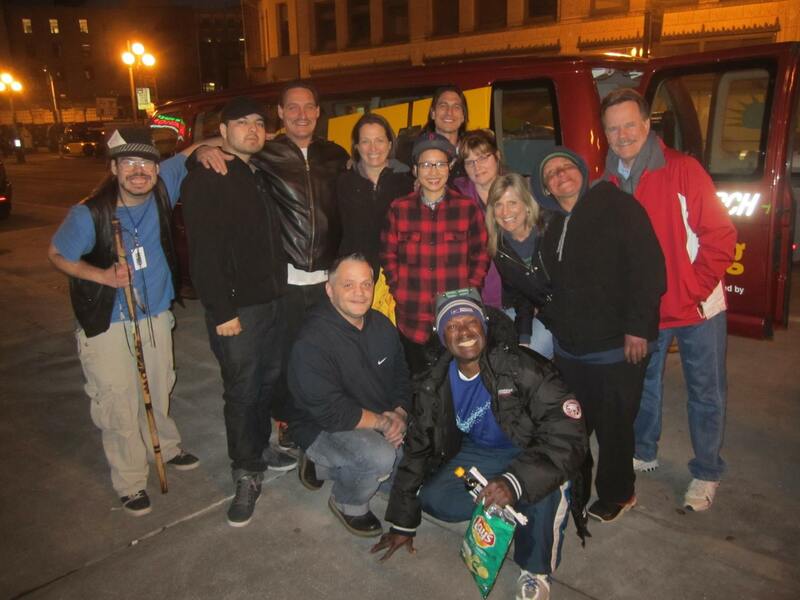 Our objective: To enrich the experience of Division 9’s employees, subcontractors, clients, and community by innovating and promoting sustainable outreach programs. These programs range from recycling to reducing the carbon footprint of both our corporate and industry activities. Posted on April 16, 2018 at 11:48 am. Hilton’s Most Popular Brand And Design Comes to Washington! Posted on April 9, 2018 at 11:53 am. Posted on April 7, 2018 at 12:00 pm. 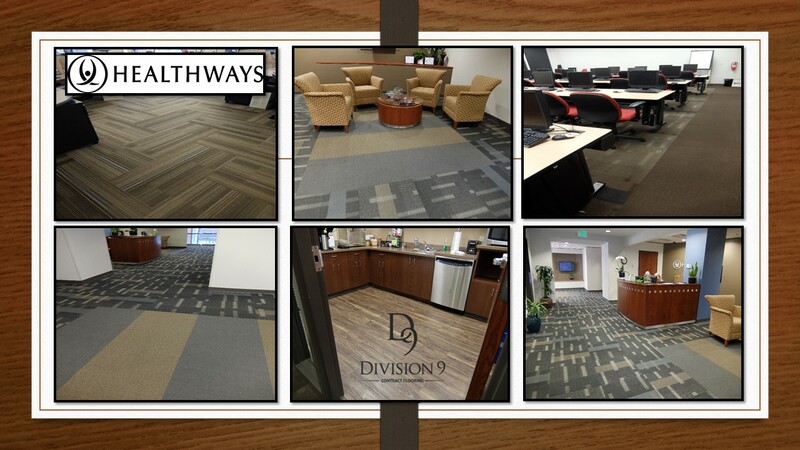 Division 9 Flooring recently did a lift project at Healthways in Bellevue. The project was pretty straight forward. We lifted all of the furnishing and demoed the existing broadloom. We then scraped and encapsulated old adhesive and installed the new carpet tile. The result speaks for itself. Posted on April 6, 2018 at 11:09 am. Posted on April 1, 2018 at 11:26 am. Posted on April 1, 2018 at 9:04 am.